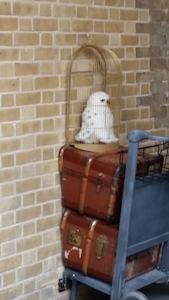 Traveling to London with or without children is the perfect opportunity to fulfill novice or even diehard fan quests for the “real” Harry Potter. The WB Harry Potter Studio is a must. You will need to get advance tickets for the studio as on-site tickets are not available. The ticket prices vary by the composition of your party, with a single adult costing about $51 and a child five to 16 being about $35. But they have many packages for families and groups (www.wbstudiotour.co.uk). The studio is about an hour by train outside London, then a short bus ride through a quaint town to the studio complex. Taking the tour on one of your first days is great but not essential. No tour would be complete without the most elaborate souvenir shop yet designed. There are also several refreshment stops in the facility including one that sells Butter Beer. Definitely allow four to five hours to maximize your adventure. The tour gives an in-depth view into the films. 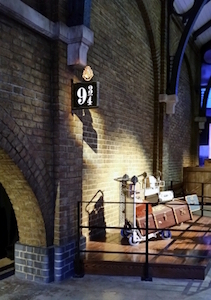 Some of the things on display are the incredibly complex sets used when filming on location was not appropriate, special effects including the making of the monsters, flying on brooms, flying cars, and even a demonstration on making fake pastries, and, of course, photos and film clips of the cast. 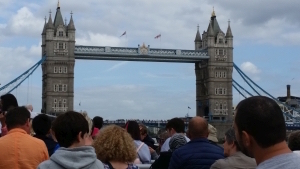 A few of the many other things to see in and around London include the 9 3/4 track at the Kings Crossing Tube Station, the old Scotland Yard Building, the Australian Embassy, Piccadilly Circus, Tower Bridge, and Regent’s Park/London Zoo. Walking and bus tours are available through many companies. If you are looking for a comprehensive guidebook on sites in both England and Scotland including maps, check out Harry Potter on Location, revised sixth edition, by J. P. Sperati. The book is available online or at some gift stores in Great Britain. Doing a movie or book marathon after you follow the trail is a wonderful way to put together all the pieces of where you have been and what you imagined were J.K. Rowling’s inspiration for the books and movies.